The classic Slickster design, calm, but ready. Relaxed, yet focused. 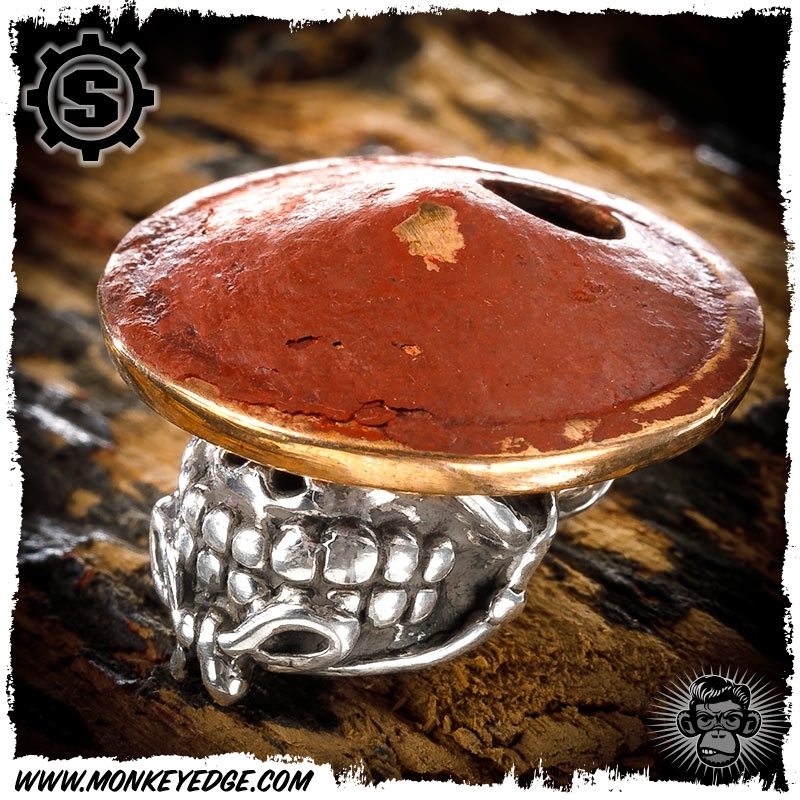 Sterling silver skull with coolie hat and red patina. Brand new from BLADE Show 2018.